This list is from Newton’s Wikipedia page. I noticed that it’s not a comprehensive list, so please add in any preschools that you know as a comment and I’ll add the link to the page. We think this is a comprehensive list of all the preschools (Montesorri, Cooperative, Day Care, Home Preschools, etc. ) that we know of. 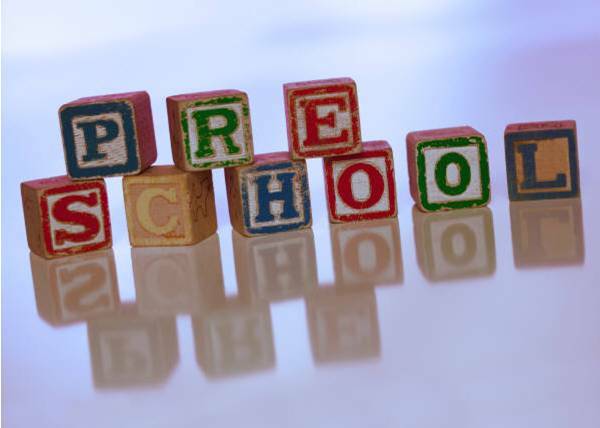 We don’t know what the “best” preschools are; that’s very subjective but I think it starts by looking at a lot of preschools and taking time to really spend time in the classroom. Look for clues like how clean the bathrooms are and how the rooms are decorated. Ask if there are parents from your neighborhood and then track them down for their honest opinion. Leave a comment to ask a question. Also, please leave comments about your preschool experience. Thanks! Capability:Mom posted her experience here. Bernice B. Godine JCC Early Learning Center, Leventhal-Sidman JCC, 333 Nahanton St. The Children’s Cooperative Nursery School, 848 Beacon St.
Temple Shalom Nursery School, 175 Temple St. (Many of my non-Jewish Mom friends send their kids here. Great proximity to Peirce Elementary School and just a great place for kids). Parkside Preschool, 474 Centre Street, Newton Corner (I have one Mom Friend whose two kids went here. She was very happy with it). Plowshares, 457 Walnut Street, Newtonville. At Newton North High School, Franklin Elementary School, and Lincoln-Elliot Elementary School. These two three schools are for 2 year olds who are typically too young for most preschools where you must be 2.6 years old in September. My mom friends were very happy at Jams. They typically used JAMS for a pre-preschool before moving them to the preschool where their older siblings were. My mom friend Katherine raved about Green Peas. It’s a half day 1, 2 or 3 mornings a week. She described it as “very sweet” and especially liked the tiny yogurt and other healthy items for snack. Her kids did a year here before preschool and she highly recommended it to me. We are a nurturing play and theme based program geared towards the 2 year old and offer an enriching curriculum in a beautiful indoor/outdoor space in Waban. I am the new Director of The weekday Nursery School in Newton. I would love for you to add our school to the list of Preschools. Also, if you ever do feature articles on Preschools in the area, we would love to be featured. Also, feel free to announce the appointment of the new director. Just added your school to the list.